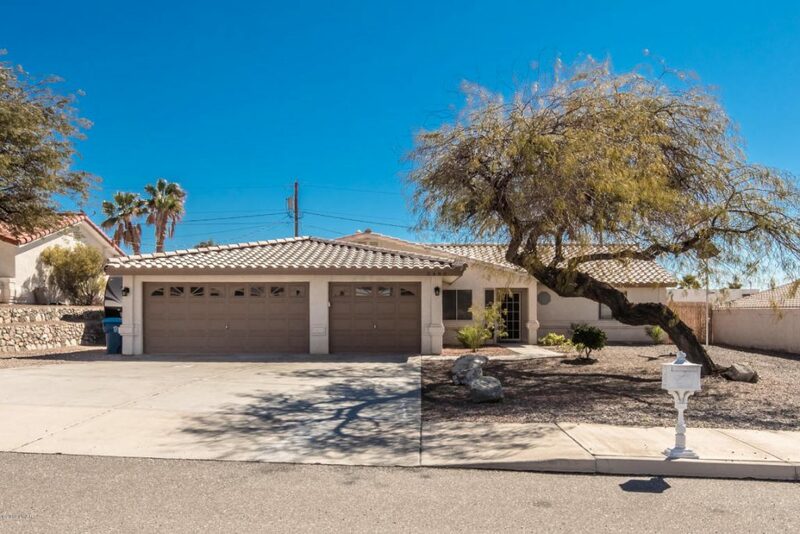 The Listing of the Day for April 9 is over at 232 E Orchid Lane, Phoenix, AZ. Provided by My Home Group Real Estate LLC. Completely remodeled and updated home in a great family neighborhood. Complete renovation includes new kitchen cabinets with beautiful granite countertops, new kitchen appliances, and porcelain tile flooring. There is also new carpet, updated and upgraded bathrooms, new vinyl windows, a new A/C unit, a new roof, updated electrical and plumbing, and a garage! 3 bedrooms, 1 1/2 baths, 1266 square feet. Listed for $265,000. The listing agent is Mike Bray. For additional information see the full listing here. 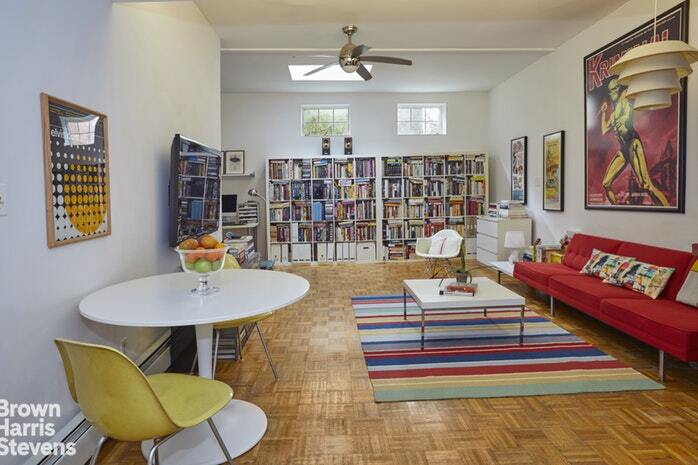 The Listing of the Day for April 5 is over at 114 Butler Street Boerum Hill, New York. Provided by Brown Harris Stevens. Not only is this rare three story, one family brick townhouse the best priced property in Cobble Hill, it also has the lowest maintenance! With real estate taxes at approximately $195 a month and all other maintenance at under $500 a month, you won’t be able to find a property with lower carrying costs! Wide-open, loft-style living room/dining room/kitchen with 12′ ceilings, wood floors and full bath, 2nd-floor master-bedroom suite with large marble bath, laundry and spacious private roof garden, and 3rd-floor bedroom/home office/studio space. 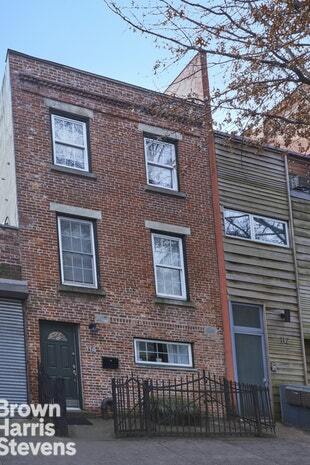 One of a kind, tucked away on quiet residential street in one of Brooklyn’s most sought-after neighborhoods. One block to all the Smith St. amenities and Restaurant Row, and 2 blocks to the subway (3 stops from Manhattan). Call today to schedule an appointment! 2 bedrooms, 2 baths, 1920 square feet. Listed for $1,679,000. The listing agent is Sal Capozucca. For additional information see the full listing here. The Listing of the Day for March 27 is over at 619 Candlewood Cove, Cabot, AR. Provided by iRealty. 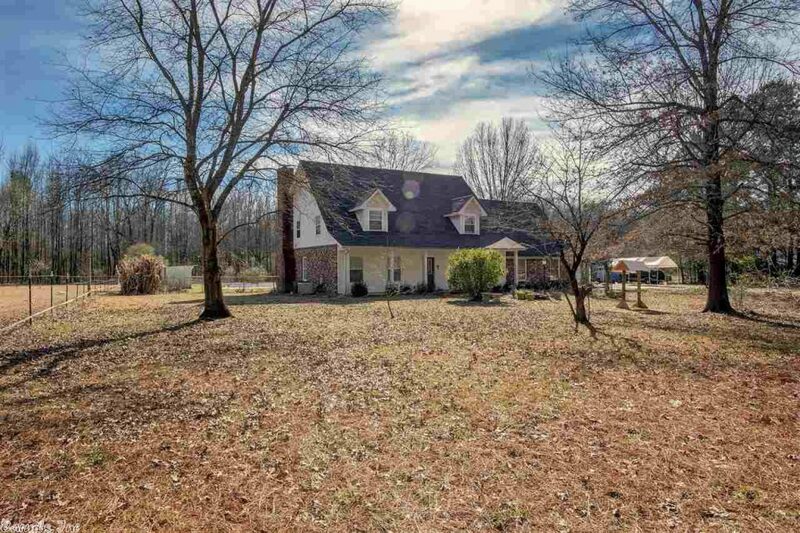 Adorable country home on 2.9 Acres with shop and pool! Lots of updates in this 3 bedroom home plus office and large bonus room. Oversized family room features wood burning fireplace and laminate wood floors. Remodeled kitchen with bay window and separate dining room. Spacious bedrooms with large closets. Amazing yard perfect for kids and animals. Hybrid in-ground pool with new liner, 3 car garage with storm shelter, 30×40 insulated shop with 100 amp sub-panel and hot/cold water and barn with 2 stalls, tack room & electric. 3 bedrooms, 2 baths, 2884 square feet. Listed for $265,000. The Listing of the Day for March 19 is over at 906 Sherman Rd, Waitsfield, VT. Provided by Roth Real Estate. Imagine turnkey estate living only minutes to the Sugarbush Ski Slopes! This magnificent home, professionally designed and decorated, is being sold fully furnished with an excellent property management team in place. 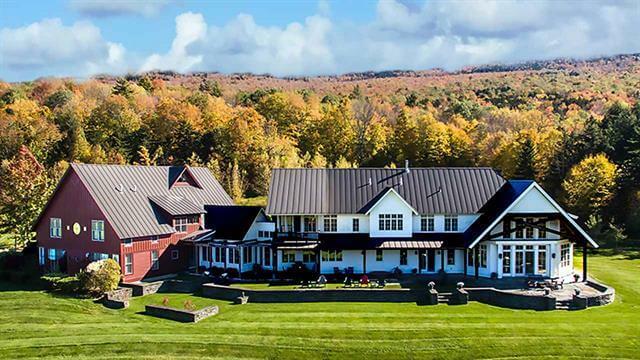 Situated on 49.5 acres along the coveted East Warren Road corridor, the property offers a rare combination of estate living with ski slope convenience and one-of-a-kind Sugarbush mountain views from almost every room. Built in 2002, this exceptional home offers 9,708 SF of luxury living space that includes a 6,493 SF main house, an attached 3,215 SF “Barn” and a flexible layout ideal for high end entertaining, but casual enough for weekend getaways with family and friends. Dramatic post and beam construction, a grand two-story entry hall, a magnificent great room and dining room, a chef’s kitchen, butler’s pantry, breakfast room, family room, library, master bedroom suite and a guest bedroom suite comprise the main house. The attached “barn” includes a fabulous recreation/TV/game room, kitchenette, 4 more bedrooms, 3 1/2 baths, fitness center, wine cellar and more. Custom detailing throughout; every fixture and finish of the highest quality. Enjoy picture perfect summertime fields, private pond, winter sledding hill, snowshoe trail, and hot tub for apres ski and a custom landscaped labyrinth for meditation and relaxation! Only three hours from Boston and one hour from Burlington International Airport. 6 bedrooms, 7 baths, 10,657 square feet. Listed for $2,800,000. 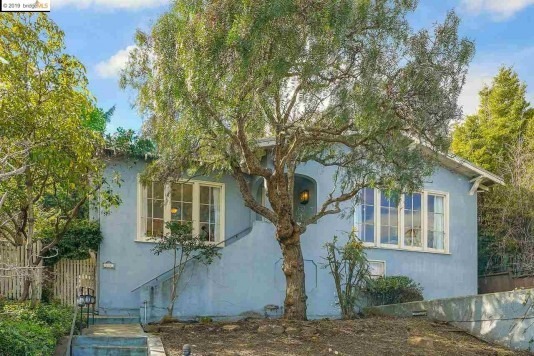 Listing of the Day: A Vintage Lover’s Haven in Albany, CA From Rudy Gonzales of Red Oak Realty. The Listing of the Day for March 15 is over at 636 Madison Street, Albany, CA. Provided by Red Oak Realty. This 3 bedroom, 2 bath home sits elegantly perched in the Albany Hills with views of Kensington and the Berkeley Hills. Just six blocks to Solano Avenue’s eclectic dining and theater district. A meandering stone path wanders through the lush private garden, allowing visitors to enjoy peaceful solitude. This home features a large dining room with original built-ins, as well as a living room with a vintage tiled fireplace and a cool built-in desk. Both rooms feature hillside views. A spacious master suite features a private bath, private garden terrace and vaulted ceilings. Deep closets in all bedrooms. 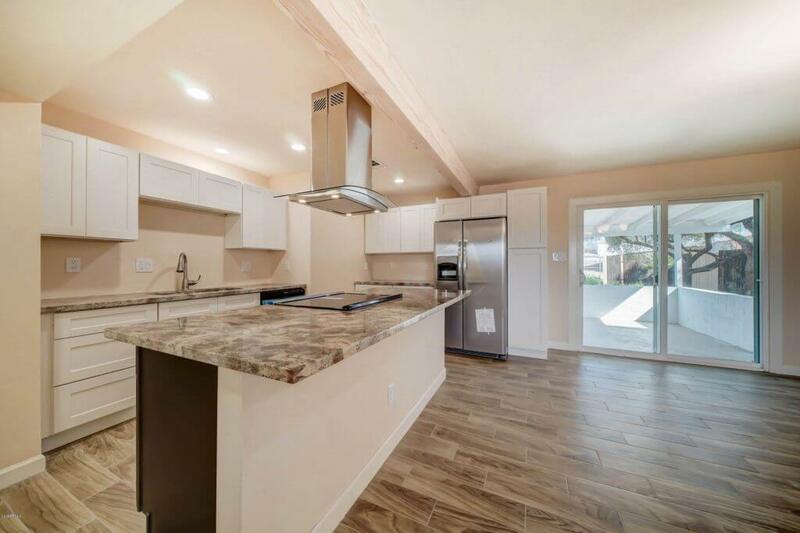 There’s plenty of room in the large kitchen, which features tiled countertops, a center island, gas cooktop, dishwasher, double oven, breakfast nook and access to the backyard garden. There is also an additional bonus space in the lower level with exterior access and a third bathroom. 3 bedrooms, 2 baths, 1800 square feet. Listed for $1,100,000. The Listing of the Day for March 12 is over at 30 Laurel Grove Ave, Kentfield, CA. Provided by Zephyr Real Estate. 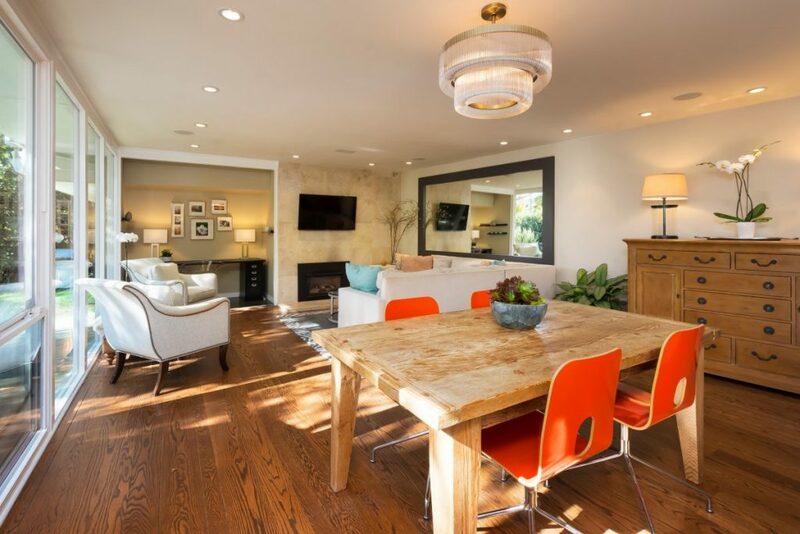 Located in the coveted flats of Laurel Grove, this bright and cheerful home is ideally located close to the award-winning Kentfield Schools, transportation, bike paths, cafes and restaurants, and more! A private courtyard sets the tone for this 3-bedroom/2.5-bath home with an incredible indoor/outdoor feel. Large scale walls of windows provide an abundance of natural light throughout the house, making this a light and cheerful residence. 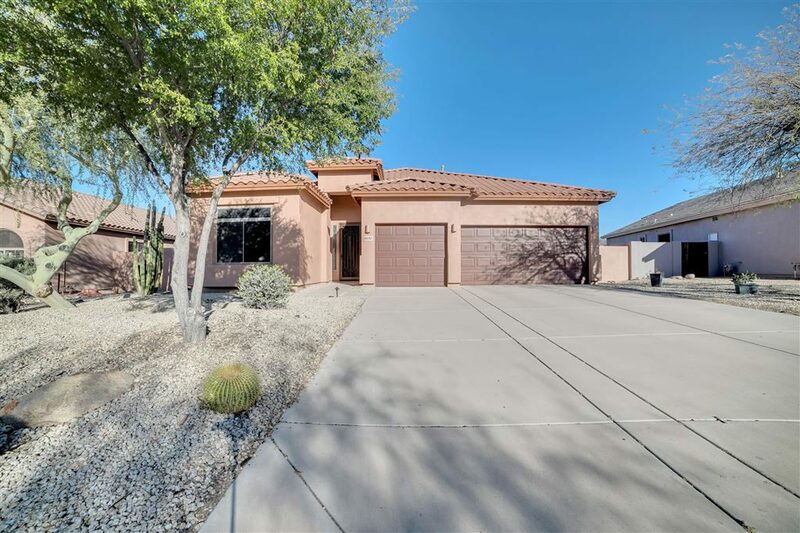 The open-concept kitchen and living room open onto the side yard, with beautiful mature landscaping and stone paver patio, offering a wonderful place to entertain guests or watch the kids play. Upstairs there is a large media room that opens to an expansive outdoor roof deck with beautiful views of the surrounding area. 3 bedrooms, 2 1/2 baths, 6750 square feet. Listed for $1,995,000. 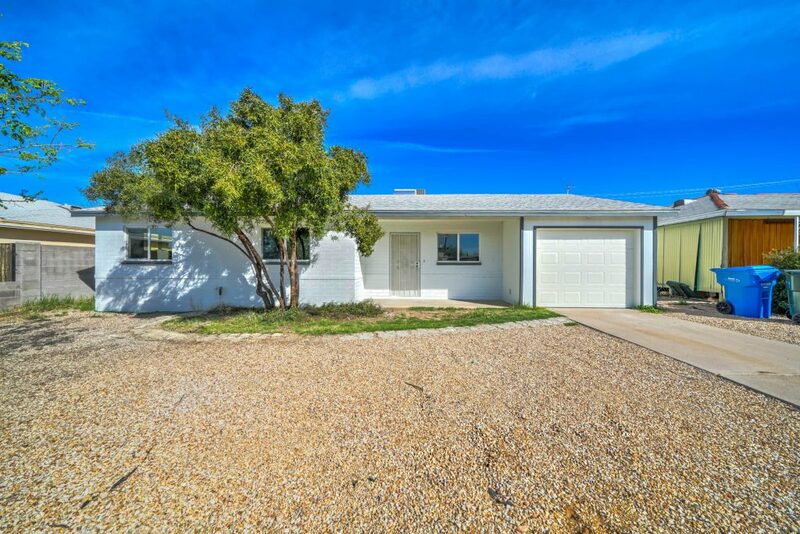 The Listing of the Day for March 8 is over at 3480 Palo Verde Blvd S, Lake Havasu City, AZ. Provided by Sunstone Realty Professionals. Welcome to 3480 Palo Verde Blvd S! You are going to love this well maintained, light and bright home! The spacious kitchen features a large pantry, lots of cupboards and counter space, a breakfast bar and all stainless steel appliances! The kitchen opens to the big, vaulted great room with plenty of room for entertaining. The split bedroom floor plan features the master on one side of the home and the guest rooms on the other. The cozy master suite has a nice sized bath with a walk-in shower, double sinks and walk-in closet. The first guest room is a mini-suite with its own bath and walk-in closet. Another guest room and full bath complete the home. You’ll love the backyard paradise with its sparkling pool, stained concrete decking, covered patio, gazebo, speaker system and lots of electrical outlets around the yard. There’s also an indoor laundry room, a large 3-car garage with A/C and side parking with RV hookups! Other amenities you’ll appreciate are the tile roof, water softener and reverse osmosis system. The washer, dryer and fridge all stay and most of the furnishings are available outside of escrow. Come see this beautiful home today! The Listing of the Day for March 5 is over at 11605 Pythian Cave Rd. Yreka, CA. Provided by John L. Scott Real Estate. BRING YOUR HORSES! Perfect mini farm set up. Updated with all the upgrades and western style you could want. 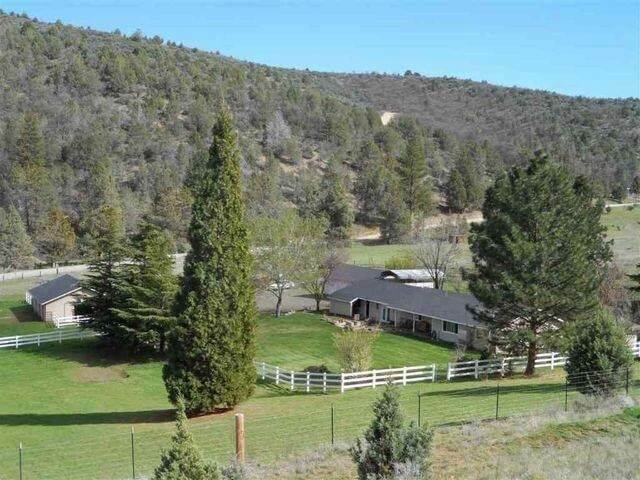 A 2,060 square foot one-story home on 5.6 fenced and cross fenced acres! 3 BR-2 BA, with a large living room, family room, sun room, updated kitchen with custom cabinets, granite and stainless steel appliances and 2 pantries! Off the kitchen, enjoy a fabulous windowed “floating bar” area set up with mini fridge and glass doors which open to private patios! Heat pump with electric heat and air, monitor and wood stove insert provide endless cozy options and a brand new $30K solar system for net-zero power! An 8 fruit tree orchard, raised sunny garden beds, fire pit on large cobblestone patio with views down the valley. Five stall horse barn plus 10-ton hay storage, tack room and outside wash stall. 2-car attached garage and separate 3 car garage, RV height carport, 20’x125′ fenced pen with shed for chickens or rabbits. 11′ x 11′ playhouse. High producing pristine well. Ride trails which overlook Scott Valley or Pythian Cave. This peaceful location is paradise! Come see the pride of ownership and love that is move-in ready! Just bring your kids and critters. Unique feature: this home is accessed WITH NO STEPS. 3 bedrooms, 2 baths, 2060 square feet. Listed for $409,000. 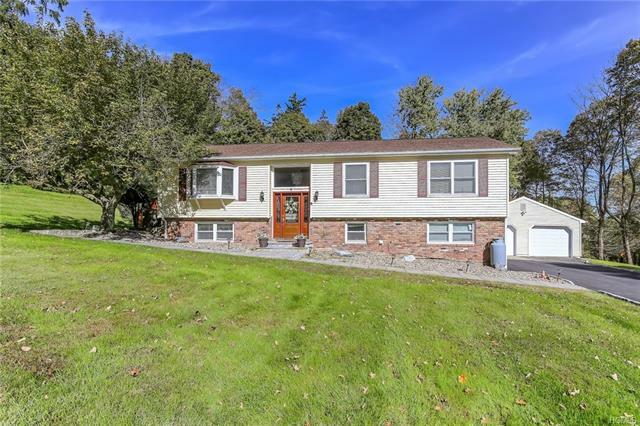 Listing of the Day: An Exceptional Raised Ranch Home in Mahopac, NY From Noreen Parrell of William Raveis Real Estate. The Listing of the Day for Feb. 26 is over at 4 Provost Place, Mahopac, NY. Provided by William Raveis Real Estate.